The SAN NICOLO (built by the shipyards Cantieri Navali Visentini of Porto Viro in 1998. IMO 9198422) and the KRITI II (built by the shipyards Koyo Dockyard of Mihara in 1979. 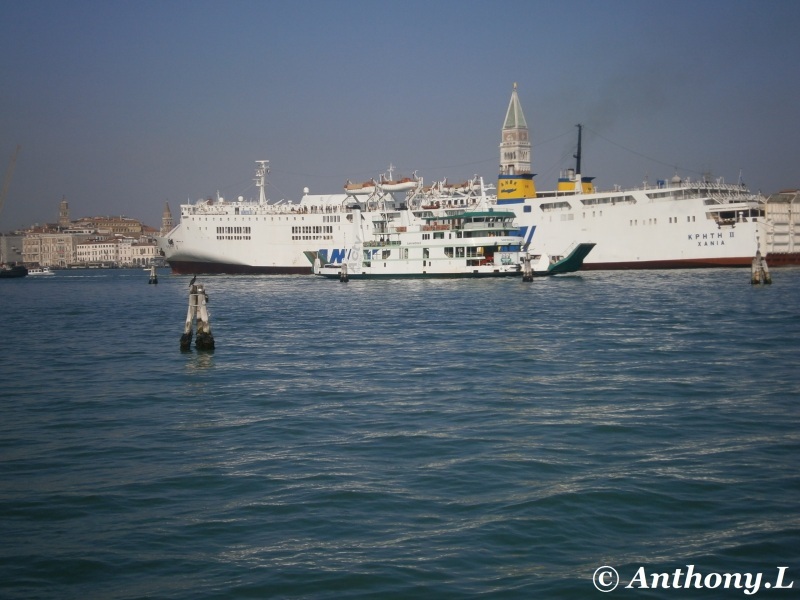 IMO 7814058) at Venice. Le SAN NICOLO (construit par les chantiers navals Cantieri Navali Visentini de Porto Viro en 1998. IMO 9198422) et le KRITI II (construit par les chantiers navals Koyo Dockyard de Mihara en 1979. IMO 7814058) à Venise.